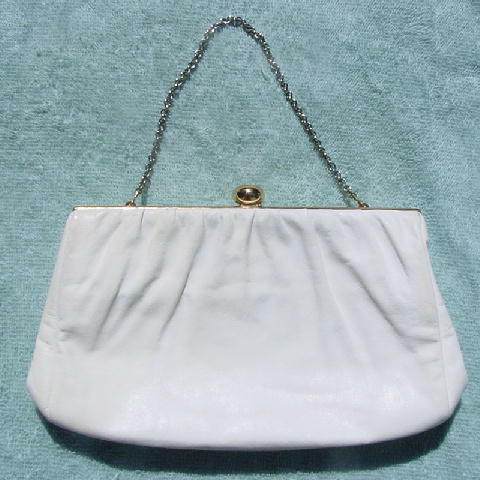 This vintage white leather purse has a narrow gold-tone rim along the top and halfway down the sides. The interior of the rim is wider and has an etched running design. The interior lining is in a champagne-bone grosgrain fabric with a red dot mark. 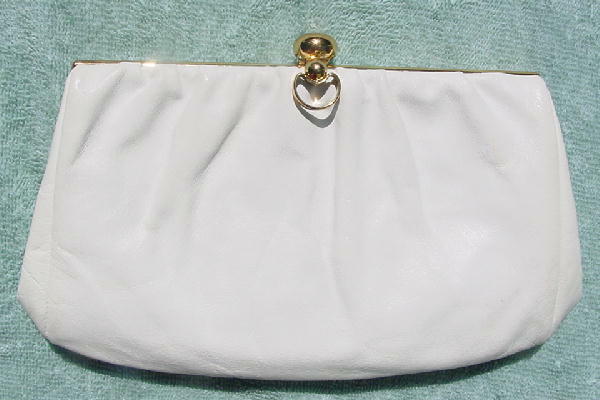 It has an interior zippered pocket with an acetate sandy-champagne lining. 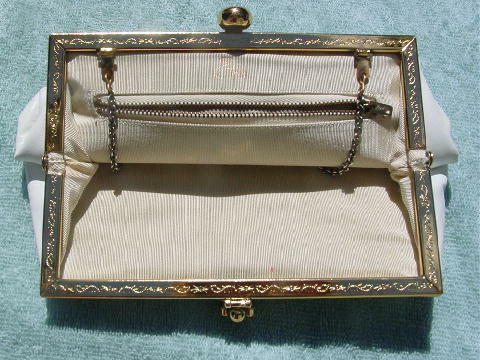 There is a chain link strap which can be tucked inside so you can carry it as a clutch. It has a gold-tone rounded top closure with a push-up opener in the shape of a kidney bean and a ball. The back of the purse has a light cocoa horizontal line mark near the bottom. It's from a former Miami model.